Molly Blake and I wrote an opinion piece (though it is completely factual) for CNN.com today about the disaster waiting to happen, and in some cases already happening, should Congress not step up and prevent sequestration. You can read it here. We couldn’t go into the second and third order effects of sequestration because of space and theme constraints, but there are many. For starters, the economies of military towns will suffer greatly. DoD civilians will be the first to be laid off and many have already been issued furlough notices. Who among us can afford to lose a day’s pay each week? That will be felt by every restaurant, store, car dealership, real estate agent, and so forth and so on. Further, some estimates say that as many as 200,000 active duty troops could be dismissed from service. Aside from that gesture from a seemingly not-so-grateful nation (“Welcome Home. You’re Fired.”) those lay offs will further hurt any businesses located near military towns. And then on to the third order effects, of which there are many. 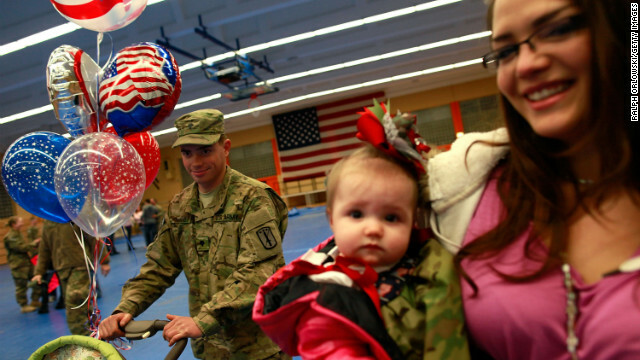 The non-Defense cuts under sequestration include programs like WIC, and in some areas 30 percent of WIC recipients are in military families. Also on the chopping block? Civilian mental health resources. So, in this, the age of PTSD and TBI plaguing the military community, and school shootings and other acts of inexplicable rage horrifying the nation, we’re actually considering offering LESS help for the mentally ill. God help us all. It’s a very scary situation, and it’s even worse for those who are deployed now, getting ready to deploy, and for the people who love them. Without a doubt, troops in combat zones this year will have less training and equipment than troops have had in the past. And I just can’t imagine any member of Congress being okay with sending his or her own child or spouse into a situation like that. Hi, Rebekah – saw your piece on CNN and read the divisive comments that followed. Didn’t want to post there, just wanted to say that I agree with you 100%. We are not doing enough for our military families, even before this scary sequestration, and I hope it will not take place. I am not part of a military family but I appreciate all the sacrifices you are making. Congress often makes things worse rather than better when it tries to “fix” the complex issues we are facing. I still believe that if we work together we can solve problems, but I’m wondering if we need to pass a law that our senators and congressman cannot have a net worth more than twice that of the average American. The perspective would really change if the people we voted for led lives more like the average American.